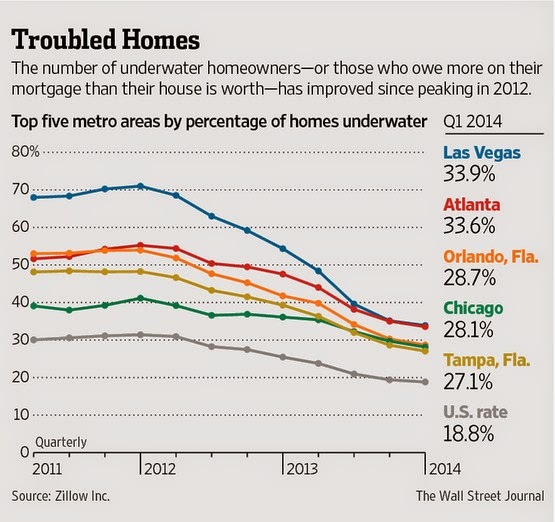 The number of underwater homes in the United States has fallen dramatically since early 2012 due to the recent bounce in prices. At the peak, 34.4% of all mortgages were underwater, and that percentage has dropped to 18.8% (still incredibly high). 10 million homeowners remain underwater and there are another 10 million that cannot cover the cost to sell (Realtor commissions, closing costs, etc). These 20 million hope and pray that the artificial bounce in home prices can continue before gravity once again takes hold of the market.